The rosary arose out of popular piety. Our Lady urged us to pray the rosary at Lourdes and Fatima. Many Popes and saints have recommended the rosary. 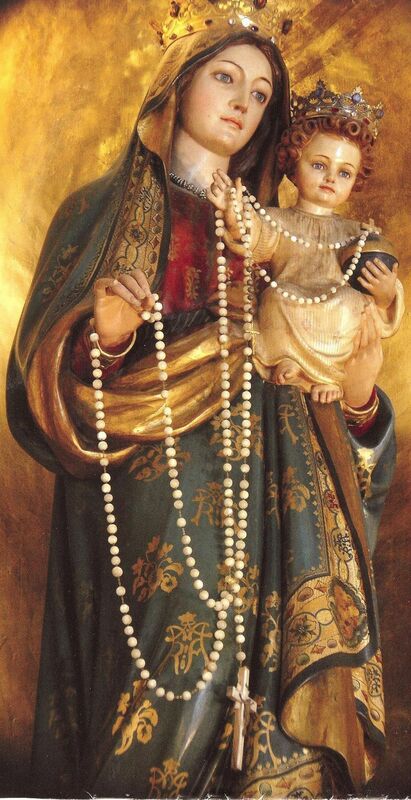 The rosary is a powerful prayer which contributed to the conversion of heretics by St Dominic, victory in the battle of Lepanto, the collapse of communist regimes in the 20th century and the conversion of sinners. This entry was posted in Meditations and tagged Fatima, Fr Donald Calloway, John Flader, Lepanto, Lourdes, Meditation, Our Lady, podcast, Pope Francis, Pope John Paul II, Pope Pius IX, Prayer, Rosary, St Alphonsus Liguori, St Dominic on October 26, 2017 by frjflader. Our Lady is our intercessor. And, we can ask her to intercede for us using the rosary. This entry was posted in Meditations and tagged Catholic, family Rosary, Fatima, Fr John Flader, Lepanto, Lourdes, Meditation, Our Lady, podcast, Prayer, Rosary, St Dominic on October 22, 2016 by frjflader. 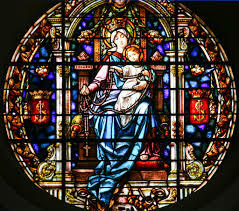 The feast of Our Lady, Help of Christians, which we celebrate on May 24, has a very interesting history. Here is my answer to a question on it, from my book Question Time 1. In 1571, Pope St Pius V asked the Church to pray the Rosary to Our Lady, under the title Help of Christians, for success in the battle that the Christian navy, under the command of Don Juan of Austria, was waging in the Mediterranean against the Turkish navy. It should be remembered that Constantinople had fallen to the Turks in 1453 and, with control of the Mediterranean, the Turks were threatening Rome itself. Although heavily outnumbered, the Christian navy defeated the Turks in a hard-fought battle in the Gulf of Lepanto, off Greece, on October 7, 1571. The following year the Pope instituted a feast in honour of Our Lady on October 7, first called “Our Lady of Victories” and later “Our Lady of the Rosary”. In 1804 Napoleon Bonaparte was proclaimed Emperor of France and began to persecute the Church. Pope Pius VII excommunicated him, but in 1809 Napoleon entered the Vatican, arrested the Pope and carried him off in chains to Fontainebleau where he was held prisoner for five years. The Pope managed to communicate to the Church his request for everyone to pray to Our Lady, Help of Christians for his release, promising Our Lady that he would institute a feast in her honour if the prayers were answered. Once again, with the help of the Rosary, the Pope’s wishes were granted. On the 24th May 1814, Napoleon abdicated and on that very day the Pope returned to Rome. As his first official act he proclaimed the feast of Mary, Help of Christians, to be celebrated on the 24th May. In 1844 the first Provincial Synod of the bishops of Australia, held in Sydney, proclaimed Mary, Help of Christians, the principal patroness of Australia. For that reason the feast has great prominence in this country, and is celebrated as a Solemnity, the highest category of feast. Australia’s mother church, St Mary’s Cathedral in Sydney, is dedicated to Mary the Immaculate, Help of Christians. This entry was posted in Catholic Weekly and tagged Help of Christians, history of the feast, Lepanto, Litany of Loreto, Mary, Napoleon, Our Lady, Pope Innocent XI, Pope Pius V, Pope Pius VII, Rosary, siege of Vienna, St Peter Canisius on May 22, 2014 by frjflader.